The US Director of National Intelligence James Clapper has ordered a review of cooperation between the National Security Agency (NSA) and the German intelligence agency BND, Bild newspaper reports. Citing an unnamed source in US intelligence, Bild says Clapper is unhappy with Berlin's “inability to contain secret data”. According to the report, the Bundestag committee on investigating the recent secret service scandals handed some secret documents to the media. For the US it is “more dangerous than what Snowden did,” Bild quoted the source as saying, referring to former NSA contractor Edward Snowden’s revelations of worldwide surveillance. Now, the US secret services are reviewing the areas in which cooperation with the BND can be reduced or ended altogether, the paper reports. Several joint projects have already been canceled, it says. 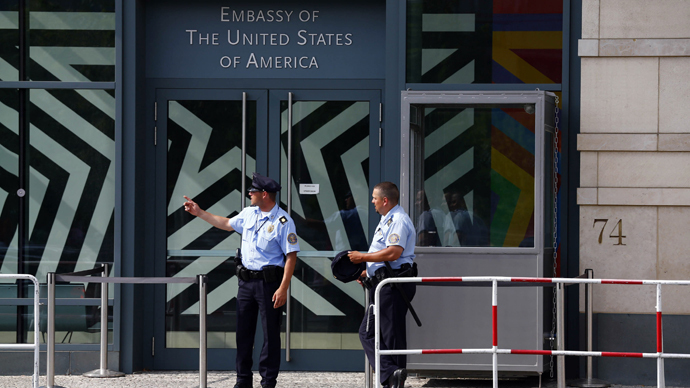 Both the German government and the US embassy in Berlin refused to comment on the report. In April, German media reported that over the past decade, the BND helped NSA in spying all over Europe. The US agency sent its German colleagues so-called “selectors”, which included IP addresses, emails, and phone numbers guiding what targets must be spied on. One report suggested that the BND sends about 1.3 billion pieces of phone and text data to NSA per month. The public outrage over those allegations and the subsequent investigation cost Chancellor Angela Merkel about a third of her approval rating. In late April, her government was accused of lying to parliament saying it had no knowledge of Washington's surveillance activities in Germany.